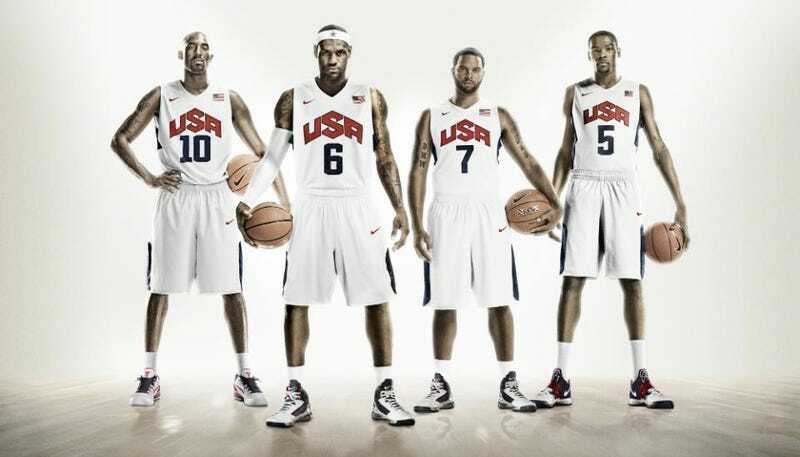 Made from 96% recycled polyester, Nike says the jerseys that Team USA will wear for the 2012 Olympics in London are the lightest jerseys it has ever made. On top of that, the shorts the basketball team will be wearing are actually made from 100% recycled polyester and weigh only 5 ounces. All that technofancy that Nike put into these jerseys will definitely snazz up the Olympics as USA, China and Brazil will all be wearing the Nike Hyper Elite Basketball Uniform (add some weight to the non-USA jerseys though, yeah?). According to Nike, each jersey is made with 22 recycled plastic bottles to form the breathable polyester fabric.